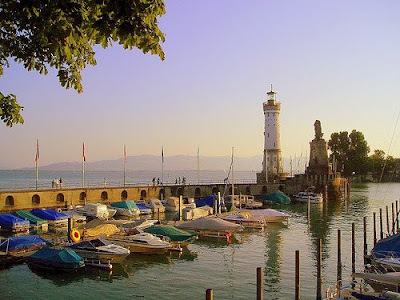 It all started in a sunny Autumn day in Konstanz, Germany. With the Alps and the Bodensee lake (aka Lake Constance) in the background Jurgen presented a simple idea: there are people out there who hate their jobs and want to actively transform their workplaces to make them the kind of places where Melly would feel happy to work. This was a proposal I could not resist because it was so well aligned with my self-assigned mission: help people find workplaces that make them happy. The Melly character quickly took over the image in our minds of that person that has worked for many years in the same job, unhappy but with the sense of responsibility (and probably a mortgage) that makes her "bring home the bacon" as the phrase goes. We've all been Melly at some point in our lives. I know I have. Fast forward to October and our story continues in Rotterdam Utrecht, a city filled with small houses precisely aligned along the canals of the old city. Rotterdam Utrecht is a city of action, a young city with a strong positive vibe. This was the right background for the three of us (Jurgen, Maarten and myself) to have our "constitutional" or Vision-sharing reunion. As we walked through the city, enjoyed the amazing urban landscape and learned about towers we talked, brainstormed and came closer to understand where the project should focus. As this project started I knew only Jurgen. I had never met Maarten face to face before (we had communicated on Twitter), but I felt an immediate connection. In today's world building relationships has become easier, and that is key in this project. We want to help you all make the right connections. The project starts with a simple vision: help people help each other. And we want to do it in a way that is itself an example of the changes we want to see in the world: we don't like static of slow organizations, we like connections, we like people and that is what Happy Melly is about. Happy Melly is a project that aims to help you transform your place of work, make a difference. The Happy Melly project is one more step in my journey to help awesome people like you do amazing things. Life is too short to be a Sad Melly, I want to help you be a Happy Melly. Check out our presentation (where we explain the project further and how you can join) and let's start a conversation about how we change our world, even if only a little bit.